Last updated 03 December 2018 . By Georgia Evans. Rohit Ghai, former chef and general manager of London's top Indian restaurants Gymkhana and Jamavar, is opening his first solo venture. Kutir is located on Lincoln Street in Chelsea and will serve traditional dishes inspired by royal hunting expeditions. The Michelin-starred chef has already made waves for his authentic Indian cooking so this upcoming restaurant is sure to be a hot ticket. 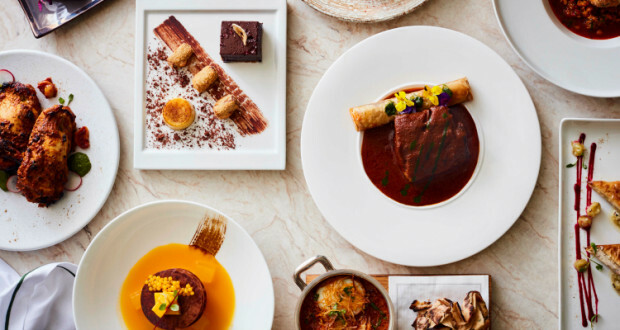 Working with Abhi Sangwan, a long-time colleague, the pair have drawn inspiration from their early careers working in luxury heritage hotels with a menu that features feast-style dishes with a focus on game and seafood. Already announced is a 6 course expedition menu for £60, as well as a full a la carte that will include an enticing range of dishes such as the truffle and mushroom khichadi, the lobster bonda and rasam, and the 24 hour slow-cooked rogan josh. To complement the flavours of these offerings, Sangwan has created a bespoke cocktail menu with wild Indian ingredients. How good does the Lodgic, made with jalapeno, watermelon, sugarcane and Sky vodka sound? Editorial Assistant at DesignMyNight. Pink-haired, moon-faced vegan, often seen wandering the streets of London in search of delicious food and good music.